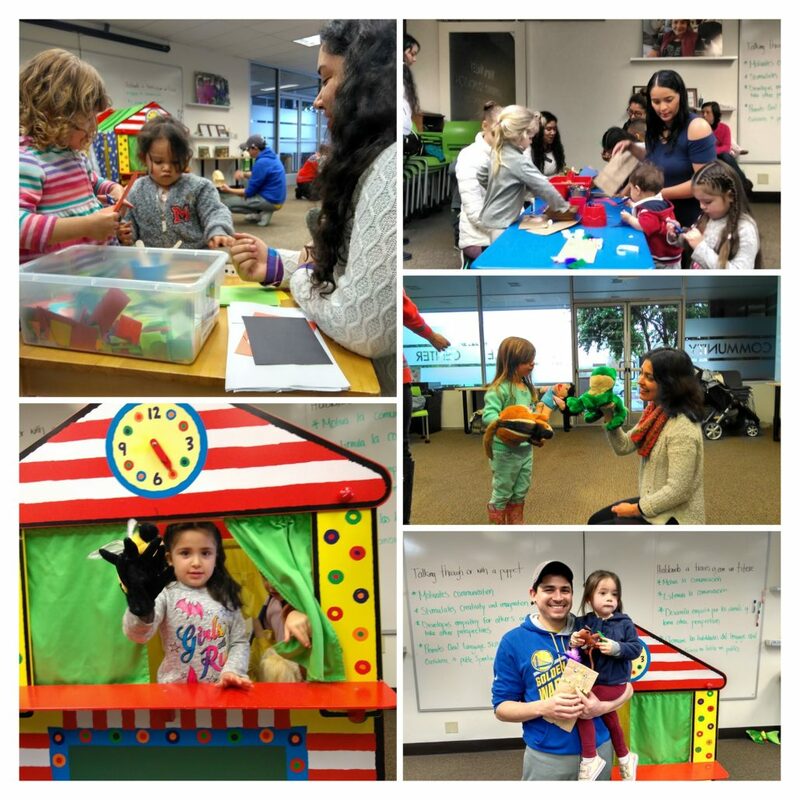 We had fun with puppets last week – puppet play, story time and make your own finger puppets and paper bag puppets! Did you know that talking through or with puppets motivates communication? This is especially important for young toddlers who have learned their first words but are not yet able to communicate their needs through words.